Genuinely surprised there are no pumpkin spice flavored Skittles. Yet. How basic is it to post a picture of these leaves? Maybe it’s okay if I come up with an ironic but not annoyingly-ironic caption that pokes fun at myself while also simultaneously making me look cool. Right. Where the hell can a girl find some apple cider when she needs it? All I want to wear are wool socks and knit hats. 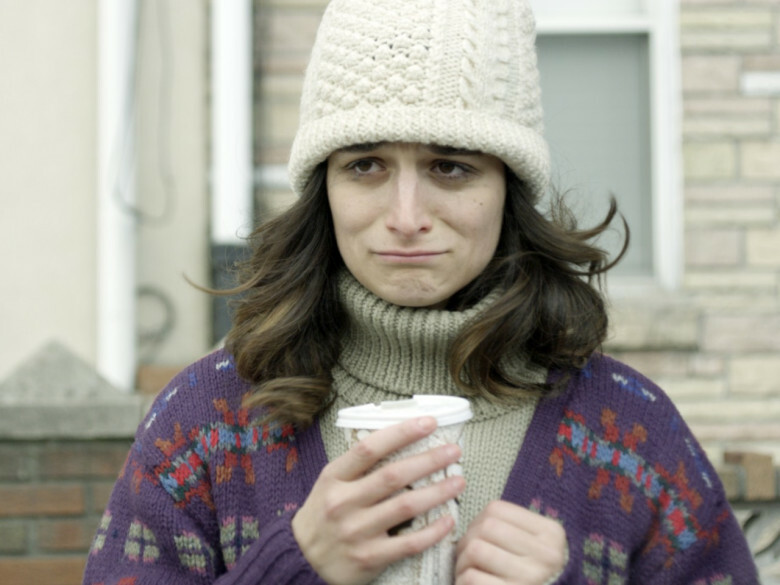 How to I make my Jenny Slate-level knitwear wardrobe work appropriate? Jenny Slate is our October wardrobe muse. What exactly is Oktoberfest again? I’m going as myself for Halloween. Too bad. Officially avoiding CVS and its criminally early Christmas decorations until December 1st. Fingers crossed I don’t get a cold or need to buy more tampons until then. Why does everything smell like woodsmoke. I know September went by in exactly two seconds, but I don’t need everyone I meet to tell me that while making small talk. I can barely dice an onion but I’m going to carve this pumpkin and it’s not going to look like an axe murdered attacked it. This feels like the time to start listening to all my indie bands again. Why is everyone obsessed with Halloweentown? GET READY CAUSE IT’S ALMOST TIME TO VOTE.